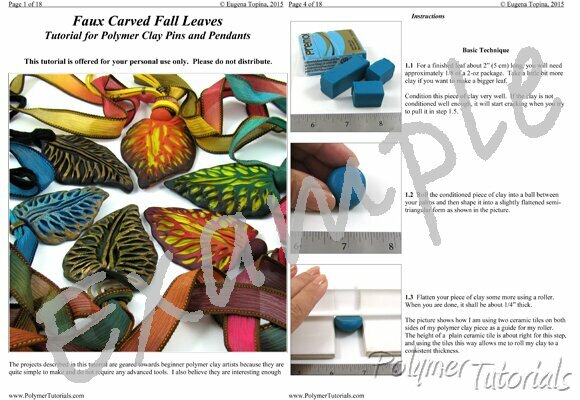 Although these polymer clay leaves look skillfully carved, they are actually very easy to make. In fact, the only tools you will need are a simple kitchen knife and a roller. And how to turn these leaves into colorful pins. Lovely tutorial, easy to do. Jeanne (Connecticut, USA) ..